We just picked a huge car model collection. Plus some military models a bunch of loose built up car models and diecast cars. We are sorting it out and stocking the shelves. The high end stuff is going on ebay under seller name: mhobbunker. Well if you haven’t noticed we’ve had a little snow up here in Boston. We would like to thank all of you that have braved the snow, traffic, parking nightmare and “T” closures to visit us. The City told us that all the snow in Malden Square will be removed next week, this will ease the parking crisis. Currently the garage is only open to monthly parkers. This weekend I plan on being in Annandale, VA for Toy soldier show. Let me know ASAP if you want anything brought to the show. With a little luck I will get down there and back and dodge this weeks storms. Massive Car Model Collection! We expect to be picking up over 300 car models next week so stay tuned! I found this picture on our forum and find myself trying to remember what grass looks like! Think Spring. Thanks for the pic Wayne and great King and Country Collection. 3. East of India – the entire inventory is on sale! Sale Stock is dwindling So get them while you can! 4. Conte Collectibles – Huge sale on metal sets! Conte Sale – Sale ends February 28th! 6. W.Britain’s marked some current and retired items to sale section(ACW, Napoleonic, Sudan and more)! 7. 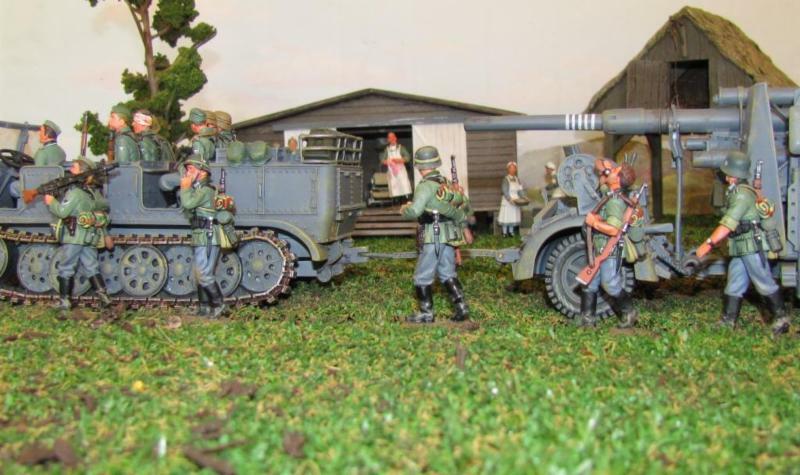 SALE ITEMS in 1/32 Scale plastic – Imex Model Co., Accurate, Forces of Valor, Armies in Plastic! Stop in the Store now until February 23rd to catch our “in store” promotions. John Jenkins Designs – January Releases on route! February releases just announced this week. The upcoming Gallipoli Range looks amazing. Lots of action! The Collector’s Showcase – Arriving this week! Thomas Gunn Miniatures – February Releases due any day. First Legion Ltd – now taking pre-orders for Ancient Persians. Sorry no other news to report. Saturday March 1st. 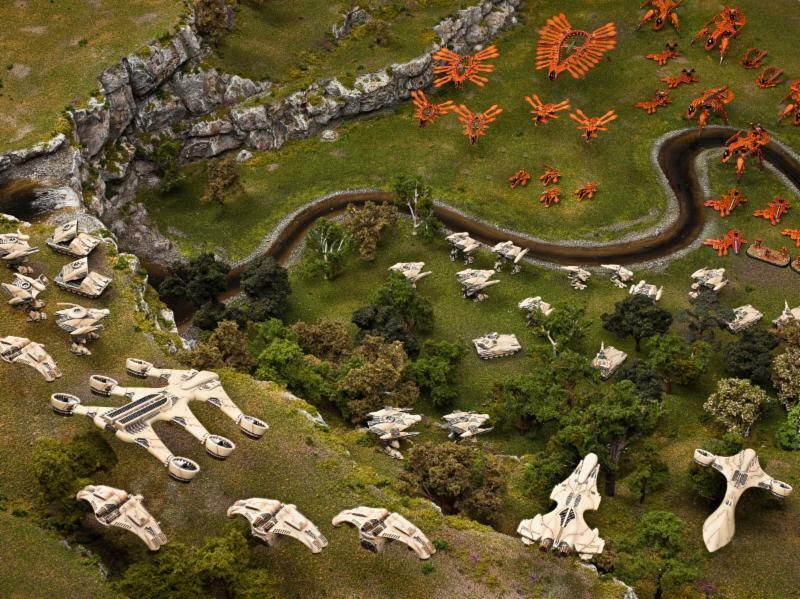 DropZone Commander Demonstration–1:00p to 4:00p – SCI-FI Space ships! 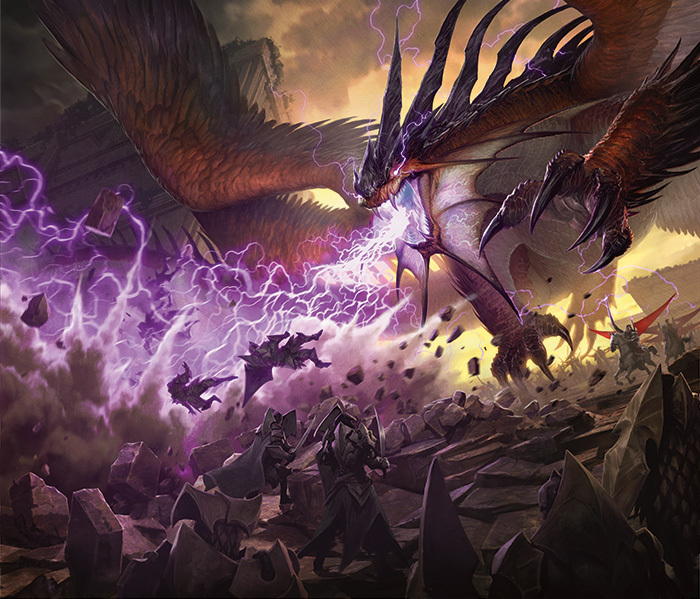 Dragons of Tarkir Prerelease on Saturday March 21st and Sunday March 22nd! Hobby Bunker will be closed today (Sunday February 15). The “T” Services are not running today, Malden has a snow emergency and parking ban in effect today.We will resume normal business hours Monday the 16th. As most of you know 2015 marks many auspicious military anniversaries…One of the most important is the Centenary of the “Gallipoli Campaign” in 1915 when British, French and “ANZAC” (Australian & New Zealand Army Corps) troops stormed the beaches in a combined attempt to capture the Gallipoli Peninsula and destroy the Turkish coastal batteries that controlled the Dardanelles Straits. The date of the landing was 25 April 1915. By capturing Gallipoli the Allies hoped to begin a “new front” with the Central Powers (Germany, Austria Hungary and Turkey). It was also hoped that a new supply route to Russia could be opened up. And finally…that a major defeat of Turkey, on its home soil, might force her out of the war. Alas, the best laid plans…often go wrong. However, the bravery and fortitude of the Allied troops, particularly the Aussies and the Kiwis, in the most difficult of circumstances, became legendary. K&C honours that legacy and the legend with the upcoming release of many new sets of figures and accessories that focus on the ANZACS and their British brothers-in-arms. Here is just a small taste…Best wishes and happy collecting! February News! More snow on the Horizon. Well the Super Bowl is over, my Patriots won and football is over until August. Now I can concentrate on toy soldiers, painting and getting some wargame’s in! We are bracing for another winter storm (so it seems every couple of days). Currently I have about 30″ of snow in my backyard. Many of our incoming and out going shipments have been delayed the last 2 weeks so don’t worry your orders will show up as soon as humanly possible. It looks like there will be more shipping delays on Monday. We have updated the Spring Events “show list” so check it out to see if we will be in your area. 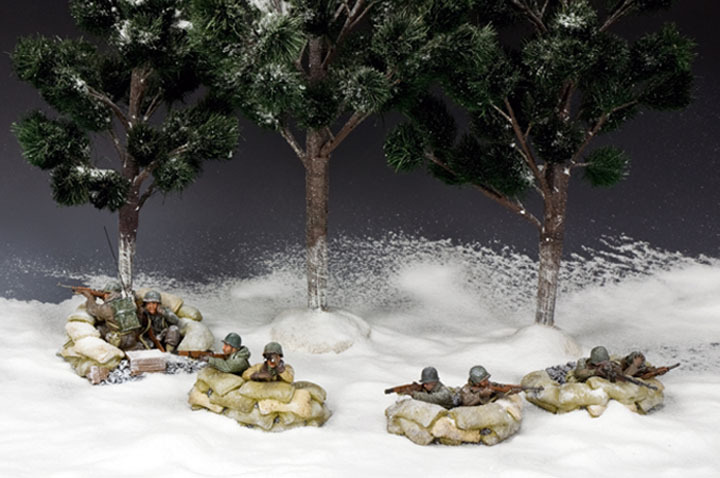 Above are the new Battle of the Bulge American “Dug in” sets from King and Country, they are now in stock. Artists, Craftsmen and Model Builders, the East Coast Figure Artists welcome you to attend the Meeting. 3. East of India – the entire inventory is on sale! Sorry the sale shows black, click on product to see savings. 6. Orion and Valiant Miniatures, Red Box, Lucky Toy and Strelets 1/72 Scale Boxed sets. 7.Thomas Gunn and Collector’s Showcase to “SALE” and -Super Sale Sections – 1/13 Sale is almost over! 8. W.Britain’s marked some current and retired items to sale section(ACW, Napoleonic, Sudan and more)! 9. John Jenkins Designs – December Releases now in stock. January Releases shipping next week (yes it is February)! The Collector’s Showcase – We just got a sneak peak at some upcoming Butternut Confederates and an all new Roman Catapult. First Legion Ltd – Looks like Persians, Zulus and a Macedonian Phalanx will be next. Great News The Fall 2014 releases are on their way. We will have them week of January 26th. Expeditionary Force – The new Medieval Sets are in stock and 2 new sets of Ancient Thracians have been announced. German Jagdpanzer L70V Tank Destroyer (Dark Green) arriving this coming week (FINALLY)! 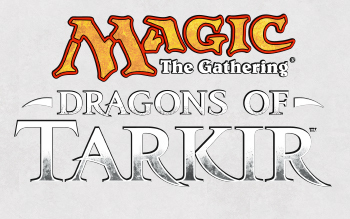 February 12th, 7PM Heroclix Trinity War Marquee –One TW and one WoL Wave II boosters. Mulligans allowed. 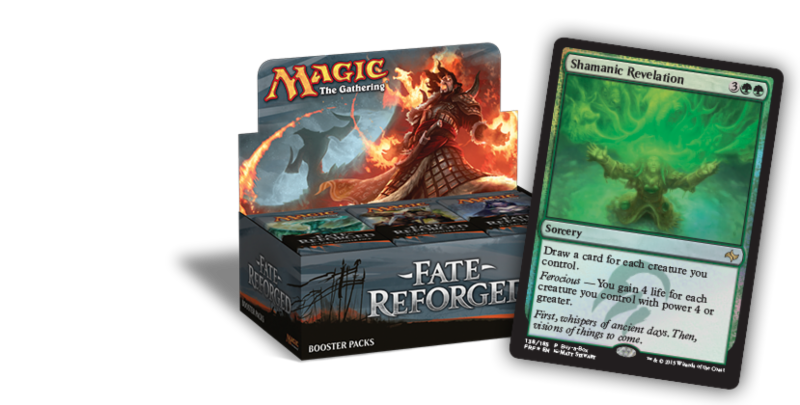 Open gaming and Booster drafts ever Thursday night. On sale now….